2. What Is the Difference Between Payroll Tax & Income Tax? Independent contractors and sole proprietors are paid on a 1099 basis and they’ve historically shouldered a somewhat heavier tax burden because they're not considered employees. They don't receive a W-2 and don't enjoy many of the benefits that provides. The Tax Cuts and Jobs Act promises to change this a bit, but some terms for certain small businesses are still being tweaked as of mid-2018. What Is the Difference Between a 1099 and a W-2? Employees’ wages, salaries and tips are reported on W-2 forms regardless of whether they work full or part-time. Self-employed persons receive 1099s instead from anyone who paid them a total of $600 or more over the course of the year. So what differentiates an employee from an independent contractor? An employee is told when to report to work and what he should do when he gets there. An independent contractor might be awarded a contract to perform a certain job or service and there might be a deadline involved, but he decides when and how he’s going to work to meet that deadline. An independent contractor tends to work on a per-job basis. An employee has an ongoing work relationship with his employer. It generally costs a business less in both time and money to use the services of a freelancer rather than hire someone as an employee. The business owner doesn’t have to deal with payroll taxes or offer benefits and he can simply stop using a contractor’s services if he’s dissatisfied with the work – no explanation is necessary and he doesn’t have to officially fire anyone. Some businesses offer somewhat better pay to independent contractors due to these factors. This might all sound like a very good deal on the surface but there are a few drawbacks. So what are the tax benefits of a 1099 and are they better than the benefits provided by a W-2? If you’re an employee who’s paid on a W-2 basis, your employer conveniently withholds taxes from each of your paychecks and remits that money to the Internal Revenue Service on your behalf. You don’t have to deal with it or even think too much about it. This doesn’t happen with 1099 income. You’re expected to figure out how much you might owe the IRS at year’s end and send in estimated tax payments four times a year to cover that amount. If you don’t, you’ll most likely be hit with a staggering tax bill come April, possibly including penalties for not making your estimated quarterly taxes on time if you end up owing the IRS $1,000 or more. But here’s one of a few 1099 tax benefits: Filing taxes on 1099 income involves completing and filing Schedule C with your tax return, and Schedule C allows you to deduct all sorts of business expenses from your gross income to arrive at the amount you’re actually taxed on. Employees used to be able to do this, too, at least to some extent. But they had to itemize their deductions on their tax returns to claim work-related expenses and this meant not claiming the standard deduction, which is often the better choice; for many taxpayers, it works out to a greater amount than all your itemized deductions added together. The Tax Cuts and Jobs Act eliminated the itemized deduction for employees’ unreimbursed work-related expenses effective 2018. W-2 employees are now left out in the cold in this respect. Independent contractors can still claim their business expenses on Schedule C, however, and report the net income they arrive at on their tax returns. So who has the edge when it comes to writing off business expenses? 1099 deductions win this one. How Much Is the Self-Employment Tax in 2018? Employees win when it comes to FICA taxes – the Social Security and Medicare tax contributions that are withheld from each of their paychecks. They only have to pay half these taxes for a combined 7.65 percent of what they earn. Their employers must match their Social Security and Medicare contributions and pay the other 7.65 percent. Not so for independent contractors. They must pay both halves. Lumped together, the two halves represent what’s called the self-employment tax, and you must pay it if you earn just $400 or more in 1099 income over the course of the year. That works out to 15.3 percent. You must complete Schedule SE and file it with your tax return to calculate your self-employment tax. But there are a few silver linings here. One is that you’ll actually only pay self-employment tax on 92.35 percent of your net earnings after you take all those business deductions on Schedule C. Why 92.35 percent? Because if you were employed and you were paid on a W-2 basis, your employer would get a tax deduction for its contributions to your FICA taxes. So the IRS gives independent contractors a corresponding break. You’re taxed on 92.35 percent of your earnings, not 100 percent. Another silver lining involves the Social Security earnings cap. Only the first $128,400 you earn per year is subject to the Social Security tax as of 2018. This rule applies to both employees and independent contractors. And Social Security has the higher tax rate: 12.4 of that 15.3 percent FICA total goes to Social Security while Medicare gets the remaining 2.9 percent. You’d only owe Medicare for the rest of the year when and if you hit this earnings threshold. The IRS offers independent contractors one more tax break to take some of the bite out of the self-employment tax. You can take an “above the line” deduction – an adjustment to income – on the first page of your 1040 tax return for one half of your self-employment tax. Completing Schedule SE will help you calculate this, too. The Tax Cuts and Jobs Act that was signed into law in December 2017 offers some independent contractors yet another tax break. A provision of the new tax law levels the playing field somewhat between sole proprietors and C corporations. It’s a 20-percent “pass-through” deduction that’s available beginning in 2018. Sole proprietors and owners of S corporations, partnerships and limited liability companies generally report and pay taxes on their business incomes on their own personal tax returns. The businesses don’t have to pay these taxes. Income and losses trickle down and pass through to their owners and shareholders. C corporations pay their own taxes. Section 199A of the new tax law cut the corporate tax rate to 21 percent, down from 35 percent, beginning in 2018 – a nice break indeed. Legislators wanted to throw a bone to these other businesses as well so they provided this 20-percent deduction to pass-through business owners subject to certain rules. The rules are complex, to say the least. But the bottom line is that an independent contractor can now take a deduction for 20 percent of her “qualified business income” or 20 percent of the difference between her taxable income before the deduction and any capital gains she might have realized. There are income limitations, however. 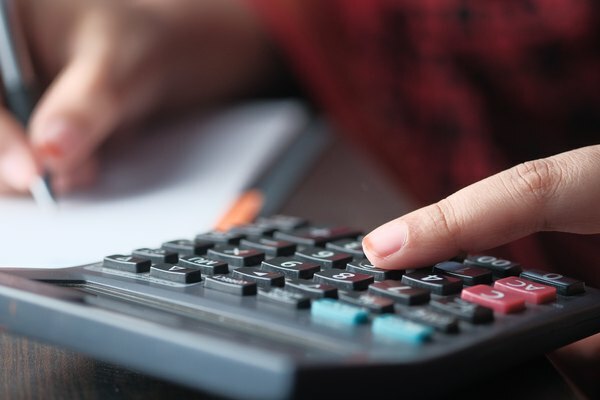 If you earn more than $157,500 in total taxable income – or $315,000 in the case of married taxpayers filing joint returns – the calculations change and become less tax-friendly. The rules also become even more complex. You'd have to include in your calculations a portion of wages you might have paid to employees and/or a percentage of the value of any depreciable equipment you own and use if you surpass these income thresholds. Another category of income limitations applies to service businesses. The IRS defines these as businesses “where the principal asset of such trade or business is the reputation or skill of one or more of its employees or owners.” By definition, this includes a lot of freelancers and independent contractors. The pass-through deduction is pretty much unavailable to these taxpayers if they earn more than the income limits. The IRS specifically mentions businesses in the fields of health, law, engineering, architecture, accounting, actuarial science, performing arts, consulting, athletics, financial services and brokerage services. This deduction also excludes most foreign and investment sources of income. So who wins in this category of the battle of 1099 vs. W-2 taxes? Neither. C corporations take home the trophy. Some W-2 employees have a tax edge when it comes to their health insurance plans. The premiums are not included in their taxable incomes and are not subject to FICA or income taxes when their employers pay them as a perk of employment. When employees – and 1099 independent contractors – must pay for these benefits out of their own pockets, it can add up to quite a bit of money. These benefits are like tax-free earnings. But independent contractors get a tax break in this area as well. They can claim an above-the-line deduction – another adjustment to income – on the first page of Form 1040 for 100 percent of any health insurance premiums they pay on behalf of themselves, their spouse and their dependents. An exception exists if they can be covered under a spouse's employer-provided plan. So who gets the edge here? This one is a bit of a wash.
Self-employment might sound pretty good to you after considering these pros and cons, but you might not want to blindly jump at the opportunity if an employer offers to pay you on a 1099 basis rather than as an employee. Employers are the real winners here. They don’t have to match your FICA taxes. They don’t have to pay you any tax-free benefits. There’s generally a lot in it for them to classify you as an independent contractor for tax purposes. But if they do and you don’t meet the IRS definition of a contractor, this type of arrangement can invite a world of trouble from the IRS for both you and the business you work for. If you really want to strike out on your own, that’s fine. Just make sure you meet all the requirements and don’t forget to send in those quarterly estimated tax payments. And keep in mind that you must pay taxes on all your income even if you earn less than $600 from a given customer or client and don’t receive a 1099 for that work at year’s end. It doesn’t mean the income isn’t taxable. It just means that the customer or client wasn’t legally obligated to issue the form. Wealth Pilgrim: 1099 vs. W2 – And the Winner Is? Forbes: Do You Want a 1099 or a W-2?